A podcast is an audio program presented as a series online. Each podcast recording is an audio file distributed to subscribed listeners or downloaded individually. Similar to radio programming, podcasts typically have hosts who present information, talk with each other, or interview guests. While corporate media outlets continue to become more concentrated, podcasts offer a venue for independent creators of media. Podcasting is inexpensive to start up at home and free to distribute, making it possible for virtually anyone with an internet connection to communicate with the world. There are over 65,000 podcasts available via Stitcher today. The creators and topics are diverse, meaning you can find podcasts related to every discipline. Podcasting was inspired by bloggers in the early 2000's. Experts and amateurs alike were blogging independent of corporate media outlets on a variety of topics. Several bloggers were incorporating recorded audio files into their blog posts. RSS web syndication technology enabled users to subscribe to frequently updated, episodic text content like the content found on blogs and news sites. Several people and companies were developing this and similar technologies simultaneously to create podcasting. Adam Curry, a former MTV VJ, and David Winer are widely credited as the developers of podcasting. David Winer, one of the developers of RSS, introduced a way to syndicate audio files in addition to text in December 2000. Winer created the first feed for journalist Christopher Lydon in September 2003 to syndicate the audio recordings of his reporting and interviews (Watson, n.d.). Guardian journalist Ben Hammersly coined the term "podcast", which is a portmanteau of "iPod" and "broadcast", in February 2004. Podcasting started to be noticed and discussed in popular media in 2004 and was added as a feature to iTunes in June of 2005 (Wikipedia, n.d.). Podcasting gained popularity throughout the mid-2000's. BBC and NPR were the largest adopters of podcasting amongst traditional media outlets. Its popularity has ebbed and flowed since then. Podcasting is enjoying a bit of a renaissance with several immensely successful podcasts, including 2014's Serial (Bishop, 2014). In March 2017, a study found that 112 million Americans, or 40%, have listened to a podcast at some point (Edison Research, 2017, p. 40). Instructors can find existing podcasts related to their courses. Include links in your Blackboard course shell or play a podcast in class as supplemental content. Podcasts can even be combined with other OERs to replace a traditional textbook. Create your own podcasts and share them with your students. You can record your class lectures. You can record podcasts as supplemental lectures to further explain problematic content. Providing recordings of lectures could be helpful for students with disabilities and for students who have been absent. Hearing a recording of the lecture is better than reading another student's notes because they can hear the full lecture, any questions asked by other students, and any class discussion. Students can replay lectures to study for exams. Podcasts are a way to present content to students in online classes. Have your students create podcasts as an assignment or in-class project. Podcasting assignments help students practice written and verbal communication skills by preparing for the podcast and likely writing a script. Students can present that they know the course content while practicing storytelling, interviewing, and using technology. You can use podcast search engines to find podcasts related to your discipline. You can also use the serach function within your podcast apps and browse the top podcasts charts. Once you find a podcast you're interested in, subscribe to it using your podcast app. 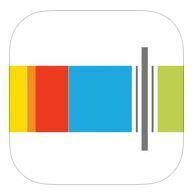 Audiosear.ch - Audiosear.ch offers advanced searching filters and a rating system. Alexa and some podcast apps use Audiosear.ch's API. Listen Notes - Lifehacker called it "the best podcast search engine". It searches over 350,000 podcasts. If you have a computer, an internet connection, a good microphone, and a pair of headphones, you too can make a podcast! Visit these sites for recommendations on getting started from podcast topic ideas, recording equipment, software to record and edit your podcasts, and information on how to distribute, tag, and market your podcast. NPR One, an app that lets you listen to NPR stories from around the country. Slack is a great tool for groups to use to stay in contact, share files, and much more. Download or access from all platforms here. Audacity is a free, open source, cross-platform audio software for multi-track recording and editing. Access download links for all platforms here.